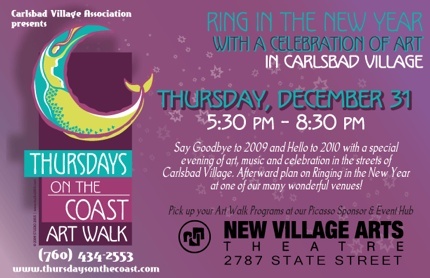 Click the link for details on what’s going on for New Year’s Eve at your favorite Carlsbadistan bars and restaurants. On December 28, 2009 Carlsbad’s Pacific Ridge School celebrated the wall raising on their new energy-efficient high school building. 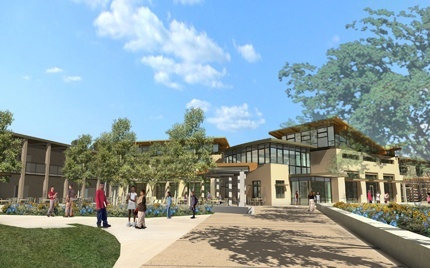 With the help of some enormous cranes and a host of dignitaries, the campus moved several walls to making the above artist rendering of the school a reality for students and teachers. 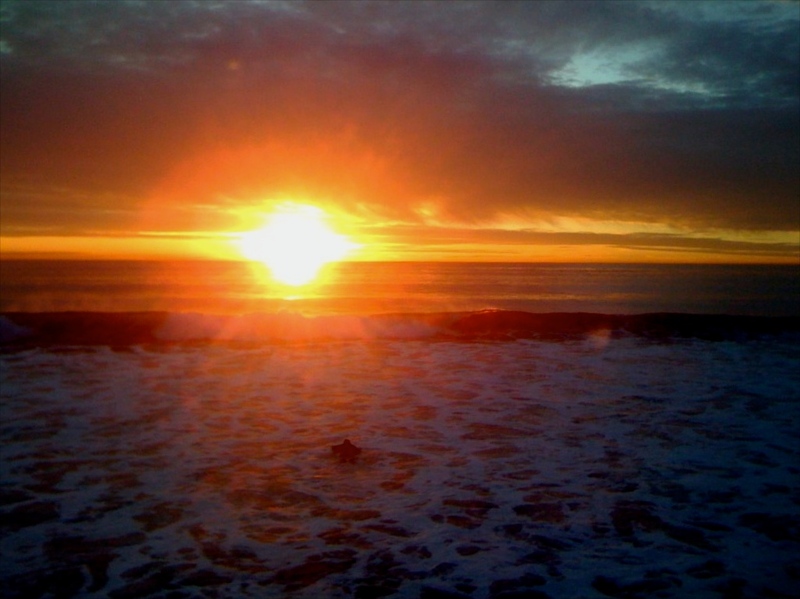 Just another perfect evening in Carlsbadistan. We have to enjoy them we only have a few more left this year. Michael Sean Snyder, 41, a street sweeper who allegedly pulled a gun on a 22-year-old man going through the trash behind the Albertson’s on El Camino Real was booked on charges of “brandishing a firearm and carrying a concealed weapon” according to a story in the North County Times. Andres Garcia, 22, told police he was looking for food in the trash behind Albertsons, at 7660 El Camino Real, when he got in an argument with Snyder, who was cleaning the area with his son in a street sweeper, Lt. Paul Mendes said. . . Garcia told police that Snyder reached into a duffel bag on the floor of the vehicle and pulled out a black pistol, prompting Garcia to call police, Mendes said. . . Snyder said he was cleaning the area when he saw two men behind the store, loading boxes into a white van. Snyder said he pulled closer to read the van’s license plate and took out his cell phone to report the perceived theft to police. Another example of why it appears to be best to be the first to call the cops. 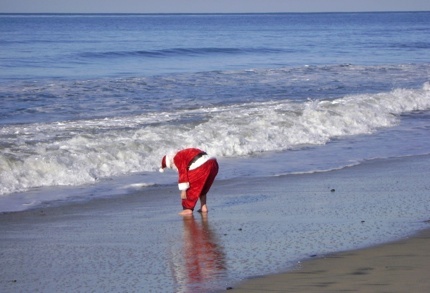 What does the number one gift giver do after a 24 hour world tour in a sleigh pulled by nine tiny reindeer? If these photos are to be believed Santa Claus heads down to Robert C. Frazee Beach, kicks his boots off and cools those barking dogs in the frigid surf. Yes, in Carlsbadistan we have the happiest holidays. 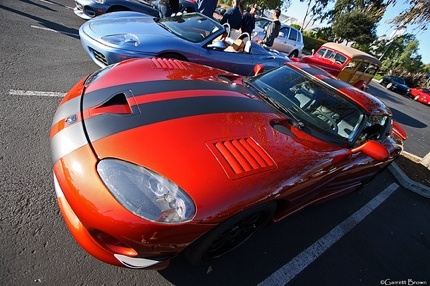 On December 26, 2009 the luxury car crew is meeting at The Carlsbad Premium Outlets from 7 AM to 9 AM to show off their toys. If you’re into Ferraris, Lamborghinis, Cobras, Vipers, Lotus and the rest then it may be worth a roll by. . . even if you’re just getting a cup of coffee at Starbucks. It’s fun to see that much cash stacked up in a parking lot. Kanishka Jain, 23, of Carlsbad was driving north on Interstate-5 near Coalinga, California at 8:30 PM Friday December 18, 2009 when 2007 Toyota Scion he was driving “drifted off the roadway and overturned” killing Tanvi Jain, 22, of New Delhi, India, according to a story in the Fresno Bee. The woman was not wearing a seatbelt. Jain and another passenger, Tanay Jain, 21, of Carlsbad, sustained moderate injuries, the CHP said. Both were wearing seatbelts. . . The CHP said an officer from another law enforcement agency had stopped Jain about 12 miles south of the accident site and given him a verbal warning for driving at 90 mph. Our thoughts are with the entire family. 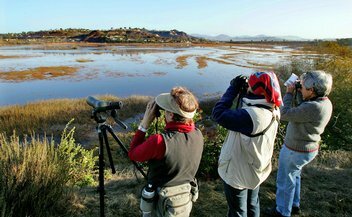 San Diego Union-Tribune writer Janet Lavelle reminds us that it’s bird watching season in the Carlsbad Lagoons. Guess we better get out those binocs and our iPhones loaded with the Audubon Birds app and start adding to our list. We don’t follow horse racing at all. But one of our favorite horses of the last season (for rather obvious reasons) was Dennis Wier’s filly Carlsbad.
. . . the Arizona-bred filly won four races, all stakes, from seven starts this season. 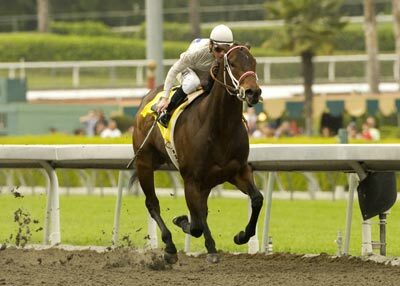 Undefeated in three starts as a two-year-old with trainer Kevin Lewis, she began 2009 with an eye-popping 13¼-length win in the Arizona Oaks in February at Turf Paradies. 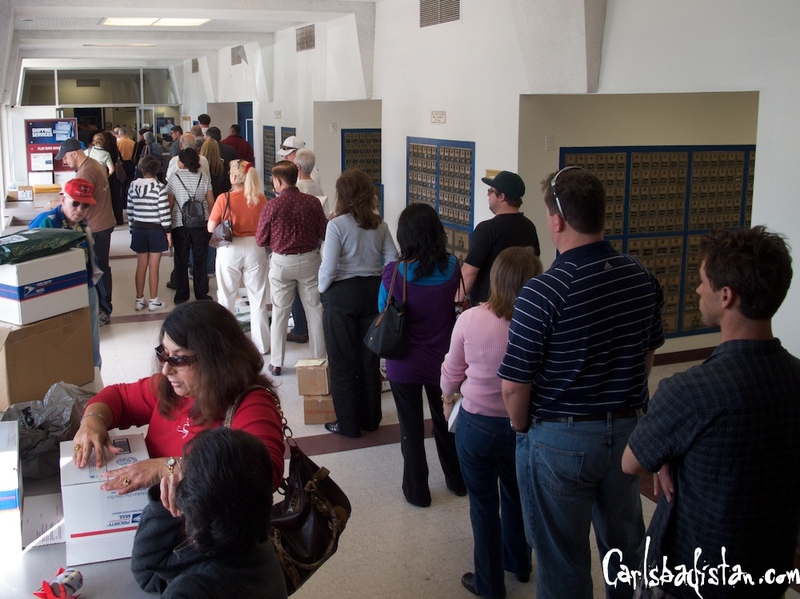 With Christmas fast approaching many people waited until Saturday morning to mail out their presents. At the Carlsbadistan post office things were getting a little backed up as the 12:30 PM closing time approached. With only three US Postal Service workers helping customers and three closed postal windows some people spent close to an hour this morning making sure their packages got out.